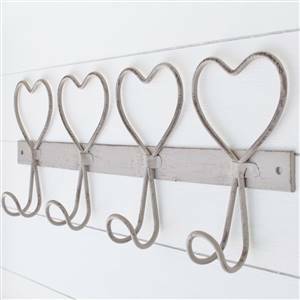 Pretty wire 4 heart wall hooks. Metal heart design, painted in a taupe colour with a distressed and antiqued finish. 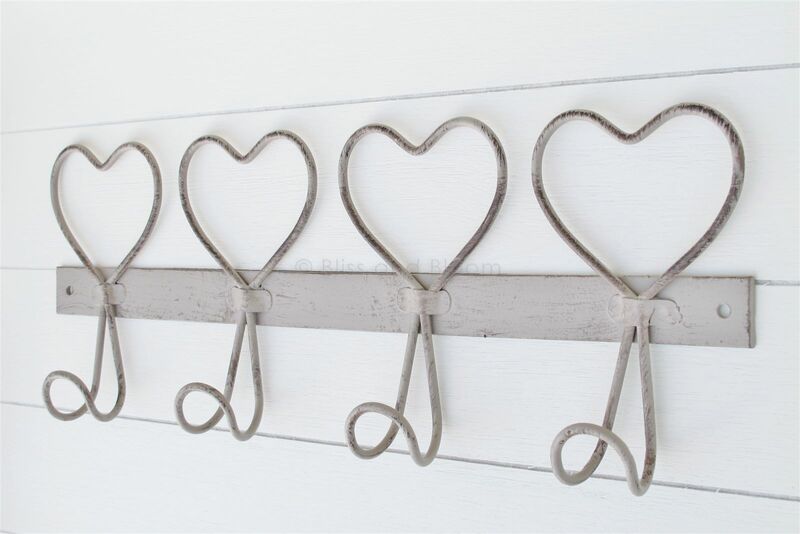 Has 2 fixing holes for easy hanging. H 14 cm W 39 cm D 4 cm approximately.